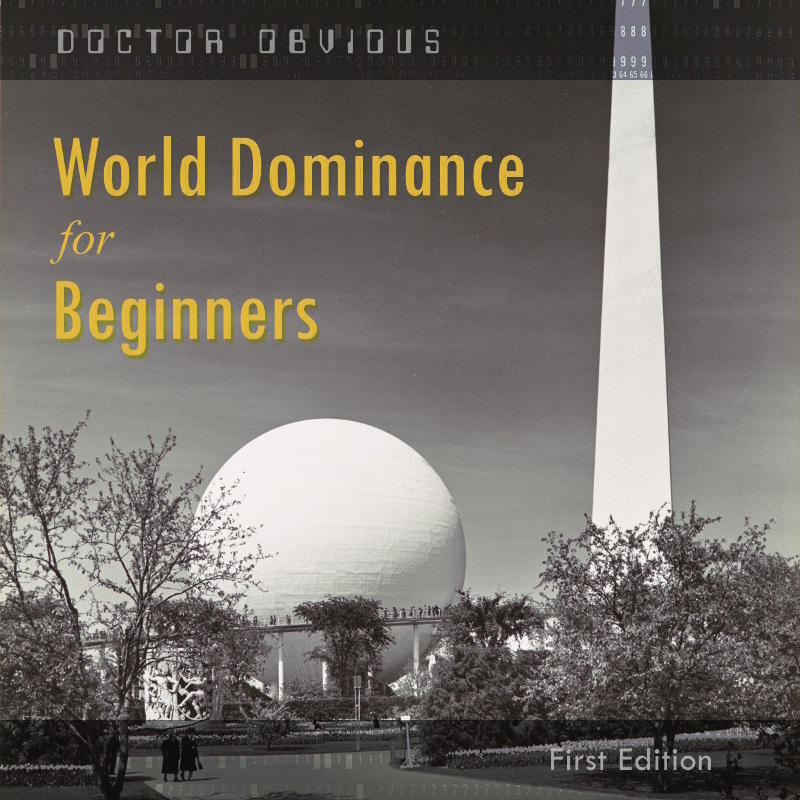 This is the official soundtrack for the play “World Dominance for Beginners”. Sure, there’s a secret society that rules the world, but it’s not that malevolent. But it is a bad place for an office romance. The theme of the album revolves around “Daisy Bell” (better known as “Bicycle Built for Two”). Harry Dacre’s song from 1892 has a long history including being the first song sung by computer synthesis and it was sung by the computer Hal in the movie “2001: A Space Odyssey”. 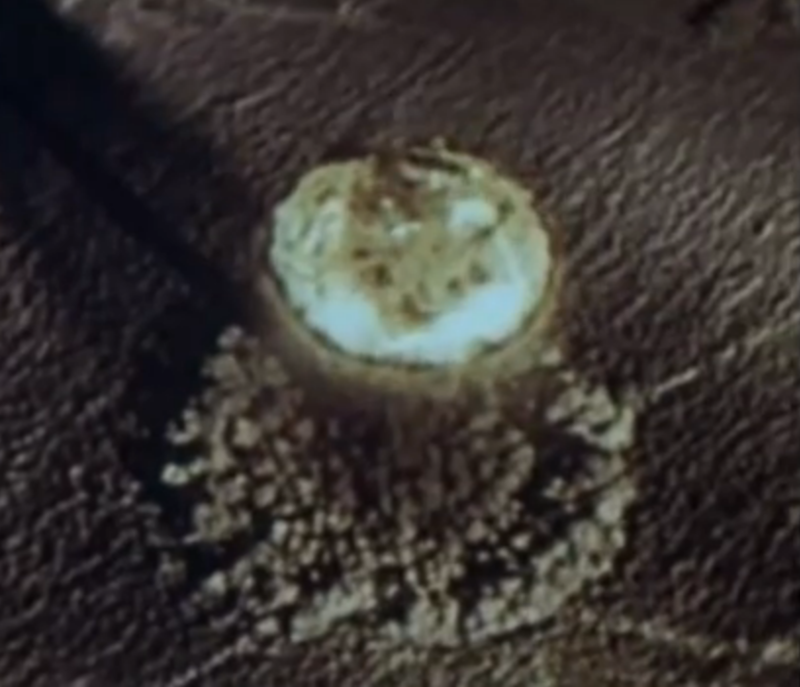 The theme makes appearances in most of the songs as they deal with the relationship between the computers and humanity, the analytical and the emotional. Orchestras square off with arpeggiators and there is something distinctly human in the tension. You can check out all the songs below in SoundCloud. You can buy the album or individual tracks on iTunes, AmazonMp3, and CDBaby. Bonus! FREE download of “Bicycle Built for Mario”. Go here then under “More” click “download”. 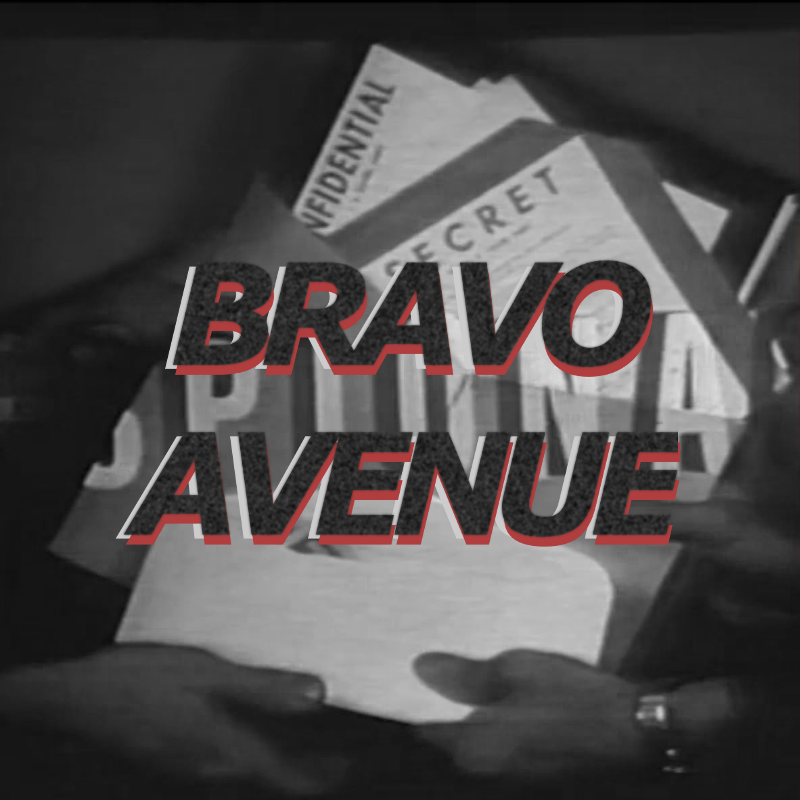 This is the title music for the original play “Bravo Avenue” by Bret Carter. Covert glances. Playing it cool. Nothing to see here, move on. Or click the download link below. Then move along. 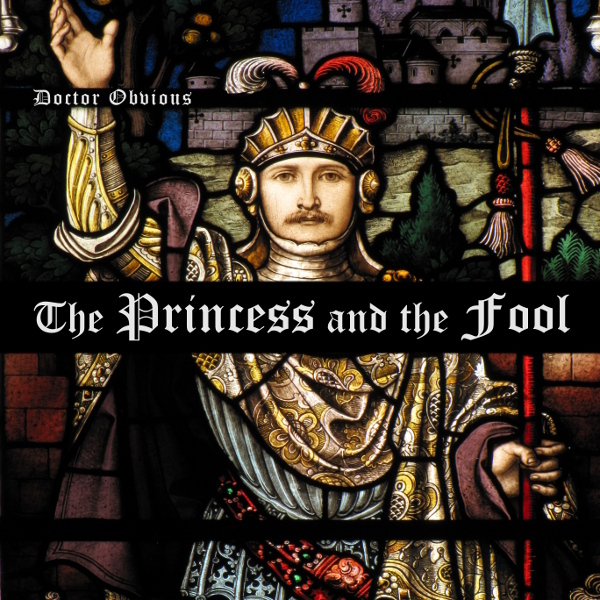 “The Princess and the Fool” is the soundtrack to the play of the same name written by Bret Carter. Set in the time of castles with moats and juggling pirates, it has a certain renaissance flair but with a fuller modern sound. Imagine a penny whistle magically being heard over a entire orchestra that is accompanying an action adventure comedy. And then you have to imagine pirates, extra scruffy pirates. Pirates that you might find yourself singing along with. If you like soundtracks, medieval music, or pirates, give this a spin and let me know what you think! 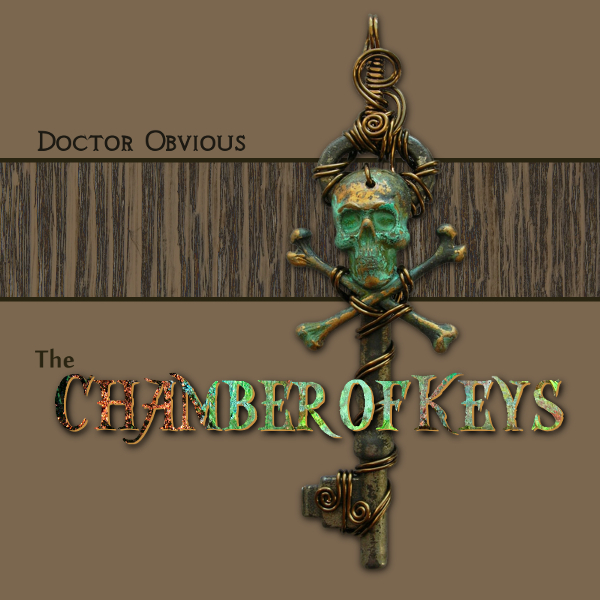 If you want more music in this vein, check out “The Chamber of Keys”. By the way, the album cover was derived from a snapshot of a stained class window in Ireland that I found intriguing. This is the title music for the original play “Apocalypse Meow” by Bret Carter. 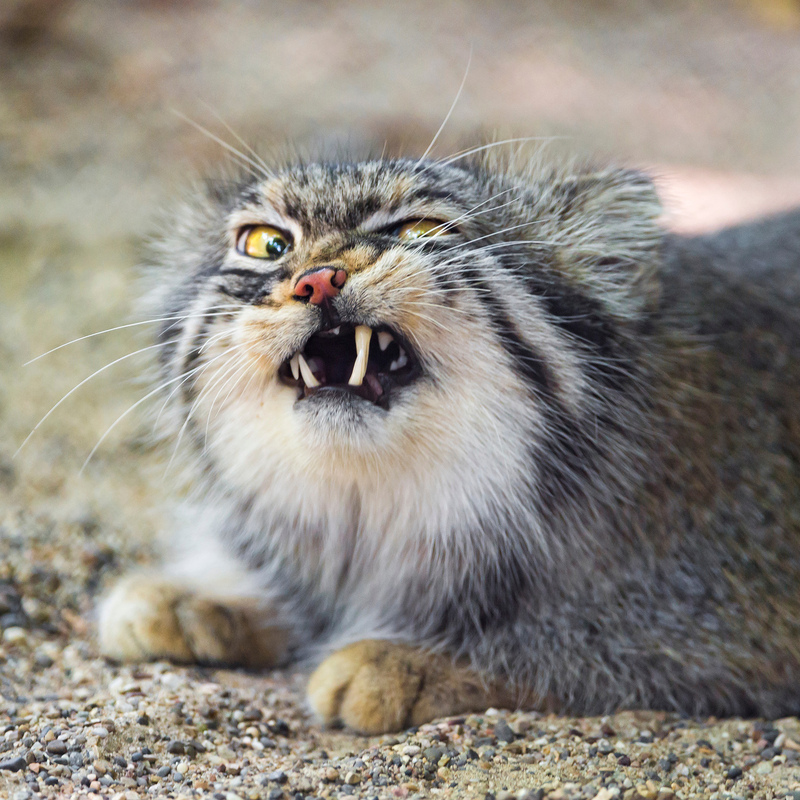 We are so captivated by our feline friends. Perhaps the paranoid are worried that they are actually playing with our minds in a bid to take over the world. Silly, right? … right? It’s time to get old-timey! These tracks are in the spirit of the live accompaniment for silent films in the 1920s. There’s drama! There’s melodrama!!! 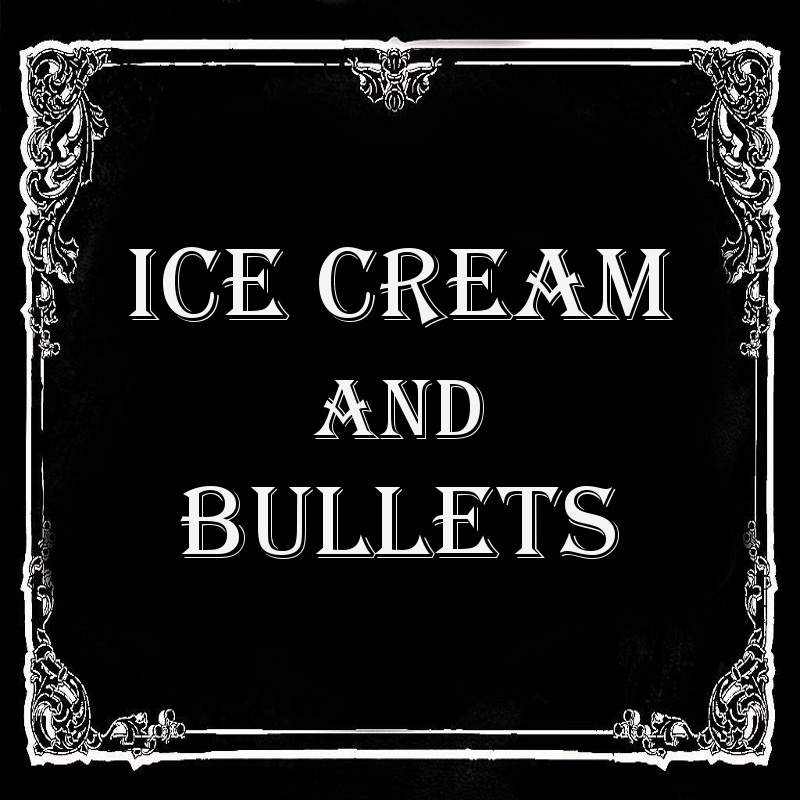 These were create to accompany a couple of scenes in Hyland Christian’s production of “Ice Cream and Bullets” by Bret Carter. Have a listen. If you like it, you can download it from Soundcloud. To do so, play a track and then click on the “View Track” link by the play count. This takes you to SoundCloud where there is a download link (it looks like a downward arrow). No registration required. 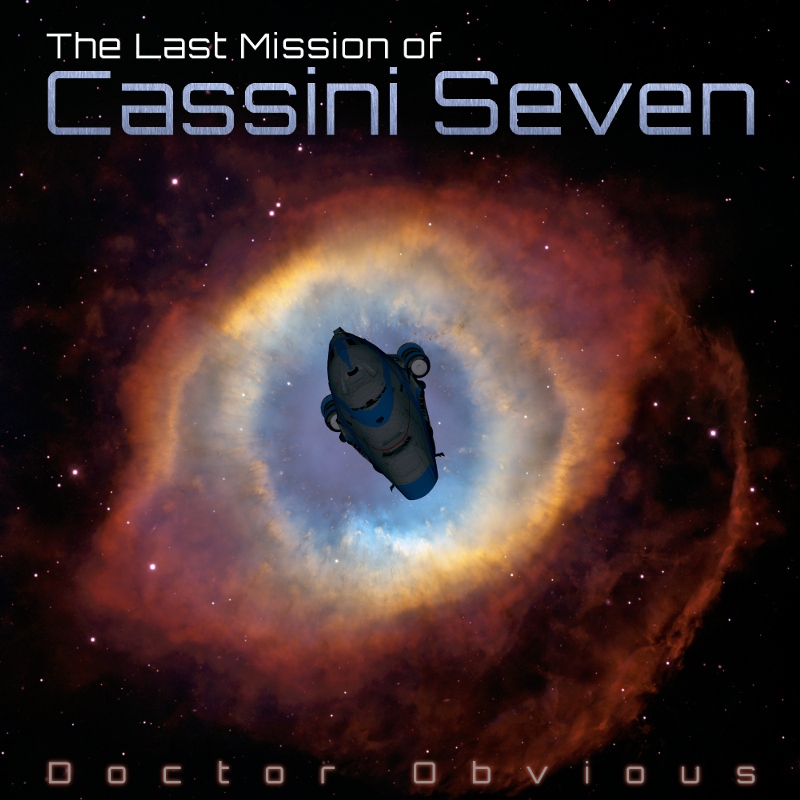 “The Last Mission of Cassini Seven” is the soundtrack for the Hyland production of the same name. The play features sci-fi space adventure and the music is tailored to suit. The music is a mix of orchestral arrangements and electronic, spacey sounds designed to heighten the sense of adventure in an alien world. Inspired by classic 1950s science fiction movies, especially “The Day the Earth Stood Still” and modern ones such as “Tron: Legacy” as well as classical music such as “Ravel’s Bolero.” Those of you familiar with “antique” electronic instruments will recognize the unearthly wail of the Theremin. Some tracks are fast paced and tense, a couple are quirky and fun, while others are more reflective. One track features the real recordings of the Apollo 11 astronauts on the way to the moon, including Buzz Aldrin. The artwork features real NASA photographs as well. If you like soundtracks by Hans Zimmer or atypical electronic music such as Disasterpeace give this a spin. I’d love to hear feedback from you! Thanks for your willingness to give feedback on these kids’ songs. Listen to a mix below. You can click on the waveform to move around and re-listen to sections. On the “form”, select the song you want to comment on, add your name and your comment, then hit submit! You can then reuse the same form (by clicking “go back”) to comment on other songs or make additional comments. Or if you have a soundCloud account (free) you can put your comments right in the song by click on the waveform! What kind of feedback would be helpful? Anything as long as it is honest! It can be from a kid’s view or the adult’s view. Both positive and negative feedback is welcome. Feedback is welcome on anything: Too fast? Too slow? Is the song inconsistent? Is there a melody you like? Is something repeated too much? Which songs have general appeal? If you have feedback about a specific part of a song, please share the time (like 2:35) where your feedback applies most. You can describe the aspect you want to comment on any way that works for you. The more specific the better, but “make the trumpets quieter at 1:05” or “make that high-pitched horn thingy quieter” both work. Or “the words need revision” or “use a different voice.” Even a general comment like “something at the very beginning just isn’t working” is helpful. And here is a music video… of sorts. I’m really excited to share this project with you. This is the first band project I started recording. I’m embarrassed to admit it, but we started in 1999. We recorded 10 songs and started mixing. Then a few projects came and went… each time I learned something and went back and applied it to the Buddy Wilby album. We re-recorded all the acoustic guitars. The project survived a move from one computer to another. Finally, I had to “let go.” I’m very proud of the result: A large variety of rock, acoustic rock, pop, alt rock, ska core, and even a country tune. 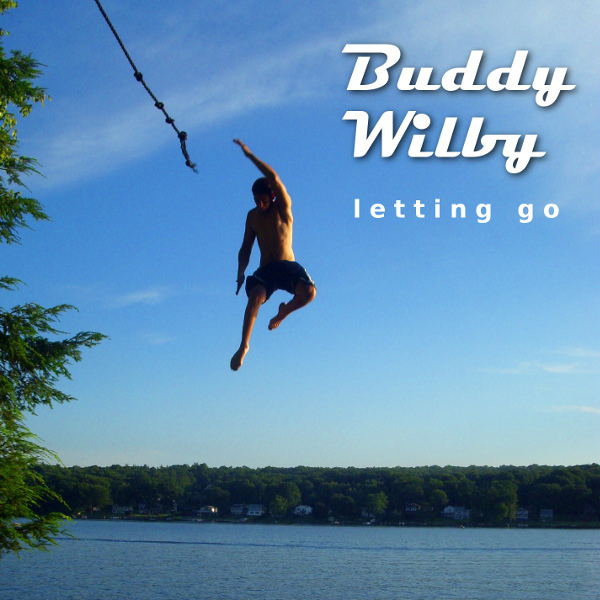 If you’d like to know more about Buddy Wilby, check out their band webpage . You can buy discs or downloads there from iTunes, AmazonMp3, Google Play and CD Baby. “The Chamber of Keys” is the soundtrack for the Hyland production of “Finders Keepers”. It features dynamic and suspenseful symphonic music to heighten the sense of adventure. I even managed to sneak some dub-step into the middle of the symphony (check out Carmina Piranha). There are also excerpts from each track available at these sites. I’d love to hear feedback from you! The key design and photo was by Kendra Tornheim of Silver Owl Creations. Look her up on Etsy! The layout and artwork was by Mark Phillips.